The Project Superintendent’s responsibility is to supervise the field construction of a project and to complete the Work on schedule, within the budget and to the quality of workmanship specified. In the performance of this function, it is the Project Superintendent’s responsibility to protect and promote the company’s interests in all matters and to do whatever is reasonably necessary, but is not necessarily limited to, the following. To verify that each Subcontractor has completed its contractual requirements / documentation prior to beginning its work at the jobsite. This includes a Certificate of Insurance, a fully executed Subcontract, a Schedule of Values and a Safety Program. At a minimum must have 15 years of hands-on heavy civil construction; preference to mass earth movement knowledge, large dirt excavations and large grading operations. 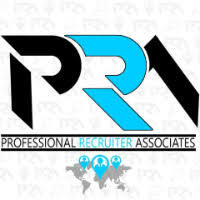 For immediate consideration, please forward a copy of your current resume to info@profrecruiters.com referencing job #1703 or a link to this job.